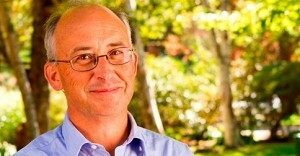 Gary Burrill, the MLA from Colchester-Musquodoboit Valley 2009 until 2013. Lenore Zann, the MLA from Truro-Bible Hill-Millbrook-Salmon River since 2009, and the current Deputy House Leader for the NDP. The NDP government consistently prioritized arts & culture and the creative economy as part of their overall agenda. Unfortunately, much of their work has been undone by the austerity government of Stephen McNeil’s Liberal Party that defeated the NDP in the 2013 general election. The funding system for the film and television industry has been completely dismantled and replaced with a program that is simply not working despite the best efforts of the bureaucrats who have been charged with its administration. Film and Creative Industries Nova Scotia has been dissolved, and many artists across the Province feel as if the government no longer values their contribution to society in general, and to the economy in particular. The Liberals have failed to fulfill their election campaign commitment to implement a sound recording tax credit. And so on. One worries there are still more attacks on arts & culture to come. Could you describe why you feel arts and culture in general, and the creative economy in particular, is important to all Nova Scotians? Do you think that greater emphasis be placed in our school curriculum on arts education? What is your plan for rebuilding the film and television industry in Nova Scotia? Specifically, do you support a return to the system that was in place prior to April 2015, namely the reinstatement of the film tax credit and Film and Creative Industries Nova Scotia, along with their equity and development funding programs? If not, how would you change the system that the Liberal government has created in order to make it workable? What steps, if any, would you take to encourage greater investment by the private sector in funding the arts in Nova Scotia? Do you support the implementation of a tax credit for sound recording? We told the candidates that they could answer however they wished, and that they were welcome to add any further general statement of principle that they might have with respect to the subject of arts, culture, and the creative economy. Their replies, as well as short bios and links to their campaign websites and other relevant information, are posted below. Hopefully this will help NDP members to make an informed decision in the next two weeks, and give all Nova Scotians a better idea of the alternative policies that are available to Liberal austerity. Thanks to all three candidates for taking the time to address the questions and engage with us. As a note of information, the final leadership forum will be held from 6:30-8:30 p.m. on Monday, Feb. 15, at the Lilian Piercey Concert Hall in the Maritime Conservatory of Performing Arts, 6199 Chebucto Rd., Halifax. The doors will open at 6 p.m. and the hall is accessible from the west end of the building. Gary Burrill has been a member of the New Democratic Party since 1990. In 2006, he ran for the provincial party in Colchester-Musquodoboit Valley. Though unsuccessful in that first attempt, he re-offered in 2009, and became the first NDP MLA in the constituency’s history. While serving in government from 2009-2013, he took on a variety of legislative roles, including Chair of the Standing Committee on Veterans’ Affairs; he also served as Ministerial Assistant to the House Leader. Since the 2013 provincial election, Burrill, who is an ordained minister in the United Church, has been serving the shared Baptist / United ministry of the new United Heritage Church in Sydney, a congregation he helped establish in 2014. He has a BA and MA in sociology from Queen’s University, and a MDiv from Harvard. He was the Coordinator of the Halifax Coalition for Full Employment, the founding editor of New Maritimes, and a lecturer in sociology, regional history and political economy at Mt. St. Vincent University, St. Mary’s University, and the Maritime School of Social Work. In response to our questions, the Burrill campaign sent along a statement from his communications chair, Betsy MacDonald, which we publish here in full. Gary tells this little story, which happens to be true. A rural South American village was in real trouble. It was terribly poor to begin with, and now industrial pollution was ruining the river, the lifeblood of the village’s farming community. The government sent an official to see what could be done. In addition to immediate assistance to sustain them, the people told the official, they needed an end to the pollution and help restoring the river. “Where can we start?” the official asked them. What those people knew – and Gary knows this too – is that our cultural life lies at the heart of every community. In junior high school, Gary (and his now-wife Debbie) studied music with the renowned music educator Chalmers Doane. Since then music has never fallen far from their lives, or far from the ways they have contributed to the places where they have lived. For decades Gary has pounded pianos for local bands at community events and weekend dances, up and down the Musquodoboit Valley. His four children played and acted in school musicals from elementary through high school, and two of the kids are members of a well-known Halifax musical group. We’ve attached a copy of Gary’s policy proposals. You will notice that his plan for Economic Development begins with “We will concentrate first on making Nova Scotia a better place to live and work”, and ends with “Arts and Culture is a sector too long marginalized”. These bookends are meant to tie together the vision that a better Nova Scotia must advance on many fronts simultaneously – and arts and culture will be an integral part of that forward movement. (ed. note: the section of Burrill’s platform that references arts & culture can be found here). You asked about arts education in our schools. Gary’s education plan features the development of a play-based Junior Primary program for 4-year-olds. Not only does he favor an emphasis on arts education in school, Gary feels it should begin earlier. Gary has long fought against the principal economic and social narrative of our age: that governments should do less for the majority so a small segment of our population can increase its wealth. This clouded neo-liberal perspective has hung over all of our public policy discussions for decades now, although actual experience has decisively demonstrated that austerity doesn’t work. Just as you can’t cut your way to growth, you can’t cut your way to a more vibrant culture. Of course, the choice to vandalize the film industry in Nova Scotia was just another, albeit particularly chaotic, implementation of that austerity program. In practical terms, the solutions we’ll develop in the future will depend on two things: the condition of the film industry when the NDP is returned to government (we can’t just turn the tap back on if the plumbing has been wrecked); and consultations that we will undertake with filmmakers and performers. This process of development (in the case of the film industry, reconstruction) through discussion will guide our efforts to repair what’s been wrecked. Was the removal of the system of credits wrong? Utterly. Will tax-based support be restored under an NDP government? Absolutely. Whatever steps we take to facilitate investment in the arts in general will be centered around this principle: our investments must strengthen enterprises that are local, cooperative, environmentally sound, and are of public benefit. And we see the arts and culture sector as particularly important in the revitalization of Cape Breton. The idea of a sound recording tax credit is well worth giving expedited consideration. Although it was mentioned in 2013, the idea was put in deep-freeze by the government after the election – and we, too, haven’t given it the consideration it deserves. 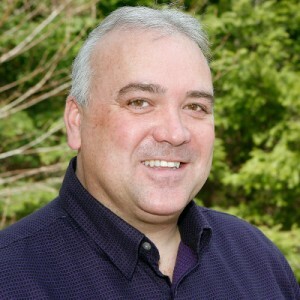 A paramedic prior to his election as MLA for Sackville-Cobequid in 2003, Dave Wilson served in various critic roles prior to the election of the NDP government in 2009, including Heritage and Culture, Tourism, Heritage Act, Housing and Communications, and Health. He was appointed to Cabinet in the NDP government in January 2011 as Minister of the newly amalgamated Department of Communities, Culture and Heritage, where as Minister he released Nova Scotia’s first strategic Arts and Culture 5-Year plan, and appointed members to the first Arts Nova Scotia board. At the end of May 2012, Wilson was appointed Minister of Health and Minister of Acadian Affairs, where he served until 2013. He is currently the NDP House Leader, and serves on the Public Accounts and Veteran Affairs Committees as well as the House of Assembly Management Commission. He is also the critic for Acadian Affairs, Health and Wellness, Internal Services, Labour and Advanced Education, and the Public Service Commission. Wilson received his education at Saint Mary’s University, and his Diploma as an Emergency Medical Technician at the School of Allied Health – School of Emergency Health Services at the Victoria General Hospital. Wilson was the one candidate to answer our specific questions as asked. He also provided a short statement. As leader I will re-engage Party members, work to attract new members, and make sure that everyone has an equal opportunity to provide input, ideas and suggestions to help build a modern, progressive Party that we’re all proud of. My leadership style is not “my-way-or-the-highway;” we need to consider every idea, including a sound recording tax credit, and the Atlantic Publishers’ requests in their new ‘Books Start Here’ campaign. I would encourage all Nova Scotia artists who lean left to take out a membership in the Nova Scotia NDP and be a part of this conversation. Our Party is the party of health care, working families, community, environment and fairness. We believe that we should be judged by how we treat our most vulnerable people, not the fortunate few at the top. We have talent, but are always in search of new voices to join our choir. Thank you. 1. Could you describe why you feel arts and culture in general, and the creative economy in particular, is important to all Nova Scotians? Our culture is our identity and our heritage. That’s why it’s so important that we protect it. When a part of our culture is lost, a part of our heritage is lost too and it’s difficult to ever get that back. When Stephen McNeil and the Liberals eliminated the film tax credit, there was widespread outrage — well beyond the immediate industry and its family and friends. The reason why people were so upset was because they took pride in the fact that their community — something familiar and close to them — was being showcased to the world. Think of the beautiful seascapes in Chester captured on the set of Haven; Mrs. Enid traipsing through the Halifax Public Gardens on This Hour Has 22 Minutes; or Helena Bonham Carter’s haunting portrayal of a girl growing up in a Cape Breton coal mining town. These are our stories — our culture and heritage — and we’re proud of that. Our culture is our identity, our heritage, and perhaps most importantly, it is our voice. That’s why it’s so important that we strengthen it. When I was the Minister of Communities, Culture & Heritage, I visited small town museums run by volunteer boards and summer students. These towns’ voices rang out: “We want you to know this — this is where we came from and this happened here.” Cultural preservation and celebration keeps hope in the heart. When you think about “Nova Scotia’s voice,” what people come to mind? Quickly, I’d like you to grab a pen and paper and write them down. Seriously, stop reading this and give it a try. It’ll be fun and you can send me your list afterwards, I’d love to see it. I would guess that the dozen or so names you wrote down include songwriters and musicians, poets and playwrights, authors and maybe a politician. There’s no question that when most people think about our voice, they think of our arts and culture. I’d like us to think more often and more kindly of our politicians too; that will take work on our part, I understand that. Now, to get back to your question; you asked me: “Why is arts and culture in general, and the creative economy in particular, important to all Nova Scotians?” Well, the creative economy’s audience creates a strong money multiplier for surrounding local business. Date night for many is dinner and a movie, or drinks and a show. The creative economy keeps our province young. If our young Nova Scotians from small towns crave the bright lights of the big city, they may just decide to stick around our provinces’ small cities if they can go see rock shows and rap battles there. The creative economy makes our cities and towns more interesting for all of us; however, culture critics specifically cite diverse entertainment options as an important indicator of how long a community can keep its kids around. The creative economy can grow our exports, our tax base, and our population — it can give our young people who work in or are entertained by the industry, a reason to stay, put down roots and raise their families here at home. 2. Do you think that greater emphasis should be placed in our school curriculum on arts education? Yes. Teaching our young people how to use art to express themselves is crucial. Arts education needs to begin at the earliest ages and should continue on throughout childhood and adolescence. We all remember those grade school trips to the art gallery, the craft projects and the recorder lessons. Somewhere down the line, like gym class, those lessons ended. Lately, to relax, I’ve been learning the guitar. I know a lot of paramedics, particularly those dealing with Post Traumatic Stress Disorder, find music to be a great way to keep the hands busy and the mind free. Everyone can benefit from creating art. I’m not a philosopher, but perhaps in school we need to look at how to continue to improve the mind, body and spirit — a liberal arts education for all kids to go along with their new coding classes. I know teachers who proudly bring art into their lesson plans: music in English classes about poetry, movies in History classes on heritage — these ideas can be encouraged and expanded. We need to ensure the Nova Scotia curriculum is representative of our province’s diverse population. We have amazing stories to tell and we should be shining a light on our First Nations, African Nova Scotian, Acadian, immigrant and other communities. It is up to us to make our children’s education more inclusive and to teach them the importance of multiculturalism. 3. What is your plan for rebuilding the film and television industry in Nova Scotia? Specifically, do you support a return to the system that was in place prior to April 2015, namely the reinstatement of the film tax credit and Film and Creative Industries Nova Scotia, along with their equity and development funding programs? If not, how would you change the system that the Liberal government has created in order to make it workable? I am committed to three things: restoring all funding to Nova Scotia’s screen industry that was cut by the McNeil government — and there won’t be a cap on it; restoring the equity and the development fund; and extensive consultation with people who work in our screen industry to determine what model will work best moving forward. As Leader, it’s not up to me alone to decide the form the new credit will take — that’s a decision that can only be made after thorough consultation with the film and television industry. Otherwise, we’d be going against our Party’s own policies. As the province’s first Minister of Communities, Culture & Heritage, I introduced Status of the Artist legislation. One of the things that legislation was designed to do is encourage fair treatment of artists by government, and “work with artists and artists’ associations to guide and inform the government on matters relating to arts and culture.” What happens if the industry decides it needs something even better than the return of the old tax credit? It took decades to create this industry and with one quick motion, the Liberals destroyed what you worked so hard to build. All options must be considered and I am ready to listen and respond to your needs. In 2011, as Culture Minister, I had the privilege of establishing Arts Nova Scotia. That righted a terrible wrong done to our creative community by a previous Conservative government. I can assure you that if I’m given the chance I’ll work extremely hard to right the wrong that was done to our screen workers by Stephen McNeil. We need all of you to keep up sustained political pressure in the lead-up to the next provincial budget. That could bring about changes to the new film incentive fund. Keep on writing those letters. Keep on giving interviews. Keep on demanding meetings. I want you to know that the film industry can once again grow and become the economic driver it once was. If you want to find out more about my thoughts on the elimination of the film tax credit, check out my open letter to the film industry. 4. What steps, if any, would you take to encourage greater investment by the private sector in funding the arts in Nova Scotia? Shortly after I became Health Minister, my friend Leonard Preyra took over as Minister of Communities, Culture & Heritage and co-launched the Arts Equity Fund Program with the Canada Council for the Arts. That program gives artists who face historic barriers an opportunity to access funding that helps them develop as artists. The target audience was aboriginal, culturally diverse, artists with disabilities and artists living with mental illness. That program was a great way to leverage money from the federal government. We should also be researching ways to encourage private sector funding for the creative economy. We need to look at how a future NDP government could build strategic culture-sector partnerships with the students and faculty of NSCAD and the NSCC’s applied arts programs. I want to add that I believe the government has a role to play in growing the French language in Nova Scotia, and I know Acadian and francophone businesses would be keenly interested in how they can help in that regard. 5. Do you support the implementation of a tax credit for sound recording? Yes. Just as I left my post as Culture Minister in 2012 to take on my new role as Maureen MacDonald’s successor in Health, I remember reviewing a favourable report on Ontario’s sound recording tax credit. The department was looking into the idea and Music Nova Scotia supports it too. So it came as a surprise to me when the Ontario Liberals eliminated their sound recording tax credit in the 2015 budget. With the low Canadian dollar and the axed Ontario sound recording tax credit, there is an opportunity to build the music industry up in Nova Scotia. Many of you are old enough to remember the days when Halifax was known as “the next Seattle.” If a Nova Scotian city or town is to become a world renown music city like New Orleans, Memphis, Nashville or Austin — and retain that title — then it will take some very serious planning by some very dedicated people. Fortunately we have many such people here! Lenore Zann was first elected to the Nova Scotia House of Assembly in 2009 as the MLA for Truro-Bible Hill, and served as Ministerial Assistant for the Department of Tourism, Culture, and Heritage. Re-elected in 2013 as the MLA for Truro-Bible Hill-Millbrook-Salmon River, she is currently the NDP Deputy House Leader, and critic for six portfolios – Status of Women, Education and Early Childhood Development, Communities Culture and Heritage, Aboriginal Affairs, The Human Rights Commission, and Agriculture. She is also a member of the Law Amendments and Resources Committees. Zann is an award-winning Canadian performer, writer and producer with 33 years of experience in film, TV, radio, animation, and theatre. She recently received the Duke of Edinburgh Gold Award for Service to Community and Country, and was named national spokesperson for the Canadian Association of Mental Illness and Mental Health. She also sent along a general statement. We publish both the statement and the platform below. Nova Scotia is a province with challenges, but our potential is far greater. We need a leader who gets it. A leader who reflects our pride in Nova Scotia, and is prepared to help unleash our creative potential. I’m tired of politicians telling us we’re poor, that we’re a ‘have-not’ province! We are not poor, the cupboards are not bare – they are full to the brim with the wealth and abundance of Nova Scotia’s natural energy and beauty. Ours is a province rich in talent and creativity , rich in heritage, in diverse culture, and a long and varied history. And we are rich beyond measure thanks to the generosity, the hospitality, and the kindness of our people. Nova Scotia’s provincial budget allocation for the Arts has been woefully inadequate for many years now – leaving many of our talented artists living below the poverty line, and with recent cuts to the Film Tax Credit many in the Film Industry have made the difficult decision to leave for points further West. Don Shebib’s classic film “Going Down the Road” has come full circle and is still very reflective of the sad tale being enacted in Nova Scotia today. Under my leadership, however, there will be no doubt that Arts, Culture & Heritage are important pillars of the Creative Economy and therefore deserving of greater investment. The budget allocation to develop, support, and nurture this important sector will therefore be significantly increased – and if possible I’d like to see the Arts budget of $9 million doubled to $18 million within the larger CCH budget. The Creative Economy – Reinstate a competitive Film Tax Credit, equal to the one that existed before July 1st 2015 in consultation with Industry. This may include “stacking” credits as in Ontario. The new tax credit will also be extended to creative content in other media, including television, radio drama, recorded music and recorded books, as well as the book and magazine publishing sector – whether in traditional or online formats. The province will re-establish a crown agency specifically dedicated to the Screen and Creative Industries, including reinstating all equity and development funding programs. The province will consult and partner with the Screen Industry, to build a Film Soundstage to attract more Film & TV projects, allow year-round shooting and increase local production capacity. Nova Scotia will become a strong partner in re-establishing, growing and maintaining Nova Scotia’s Screen Industry and Arts, Culture & Heritage sector. The provincial budget allocation to develop, nurture, support, and maintain wealth creation in the Arts, Heritage, and Tourism sectors, will be significantly increased. Introduce financing for School Boards to establish an artist-in-residence program, available to perform and teach workshops, direct, write, and / or choreograph plays or musicals, teach singing, dance, writing, drawing, painting, filmmaking, recording, or other manner of artistry. The province will introduce a new Arts & Creative Industries Tax Credit for the private sector to encourage greater private investment in the Arts & Creative industries – including Nova Scotia’s valuable Screen Industry – to help our creative economy thrive. Introduce an Environmental Bill of Rights, stating that clean air, water and soil are a human right enjoyed by all Nova Scotians, that government will protect that right and that those who infringe on the rights of others will be held responsible for remediation and recovery. Paul Kimball is a filmmaker and author who lives in Halifax, NS. His work includes the book The Other Side of Truth, the feature films Exit Thread, Roundabout, and The Cuckoo in the Clock, as well as documentaries for CBC, Bravo, Vision, Space, TVNZ, Knowledge, Eastlink TV, UFO TV, and SCN. He has an honours degree in history from Acadia University, and a law degree from Dalhousie University. He is a former Program Administrator of the Nova Scotia Film Development Corporation, and served as President of the Nova Scotia Film and Television Producers Association and as a member of the Nova Scotia government's Film Advisory Committee. He has an abiding love for vanilla milkshakes, mysteries and Walden moments.